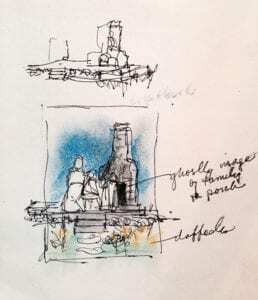 McCampbell’s Design Chosen for Large Public Art Installation in Hospital! 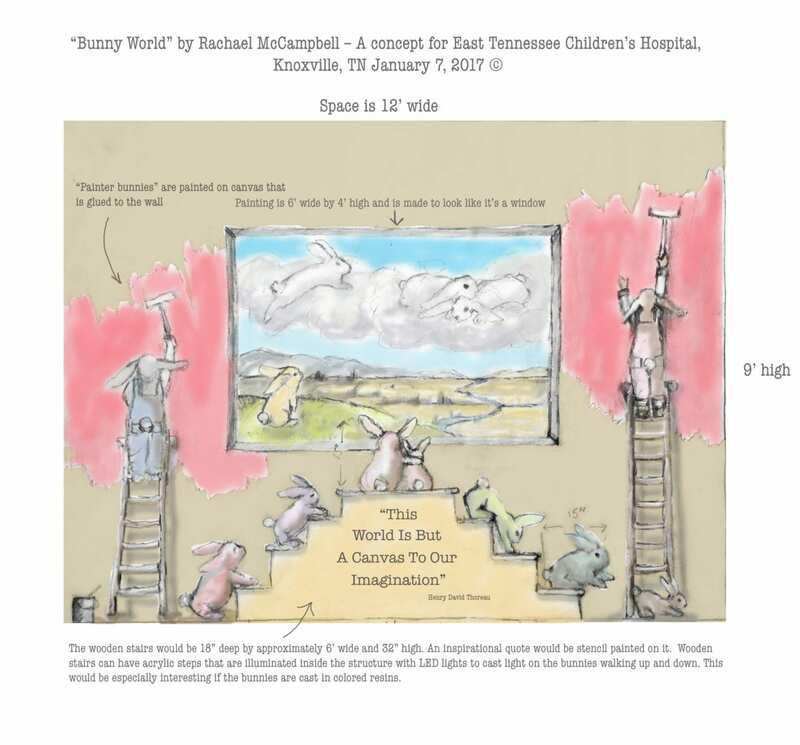 I am thrilled to announce that I have been commissioned to complete a large installation of paintings and sculptures for East Tennessee Children’s Hospital in Knoxville, TN. This is a brand new, cutting edge medical facility in Knoxville. The art they have collected and commissioned to fill this building are phenomenal . I am so honored to be a part of this story. Please stay tuned as I complete this project in 2017. Addendum: This project was completed. Please click here to see all the final part and pieces of this design. I will begin another project for them in 2019. 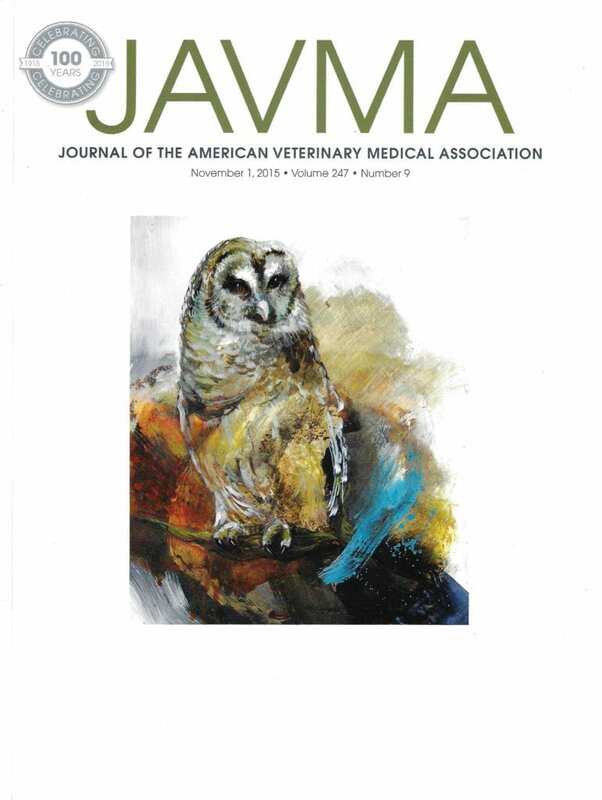 So happy that my artwork of a Barred Owl was chosen for the cover of JAVMA or the Journal of the American Veterinary Medicine. 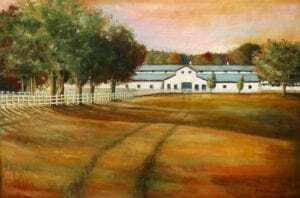 I was pleased to sell some fine art giclee prints of that painting to a few veterinarians who loved it. Thank you JAVMA! I was commissioned to paint a painting for the “Raise the Roofs” fundraiser for Friends of Franklin Parks on August 15, 2015. This painting, “Ready to Roll,” features a beautiful horse that was auctioned off at Harlinsdale the year before. The horse’s name is Ready to Roll and is a descendant of the famous Tennessee Walking Horse, Midnight Sun who is buried there. “Harlinsdale Farm.” It’s 2′ h x 3′ w, oil on cradled panel, to be auctioned off to raise money for Harlinsdale Farm’s renovation into a park in Franklin, TN. Please support Franklin’s Parks and come bid on this piece. It will be sold at a live auction Saturday night in Franklin, TN. If you cannot go, but want to put in a bid, please contact me and for more information. 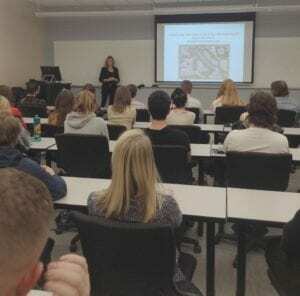 I was asked to speak at Belmont University March 21, 2015 on “La Bella Vita: How Italian Culture Has Influenced my Art” as part of the International Awareness Events sponsored by the Dept of Foreign Languages. I’m pleased to say that the room was packed with over 65 people. It was fun and hopefully the attendees enjoyed it. Thank you Dr. Francesca Maria Muccini, Associate Professor of Italian, who often donates her spare time to tutor people who want to continue speaking Italian like me. Grazie mille, Francesca! McCampbell Offered to Write Column for Nashville Arts Magazine! I’m thrilled to say that a blog I published on my website, January 1, 2015, entitled “Are Artists Courageous or Crazy,” was read by the editor of Nashville Arts Magazine and he loved it so much that he called and asked me if he could publish it for Nashville Arts. I immediately took it off my website and handed it over! Then he offered that I write a column about things in the art world that interest me. We entitled it, “And So It Goes” and I’ve been writing for them since. I’m so thrilled to be a part of this slick, smart, elegant and important magazine. Nashville is so blessed to have a quality magazine like this one! Quick doodle sketch with notes begins the design process. Letting it flow and not edit is key. What do I have to say as an artist? I can’t think of anything new or original. I’m going to waste a perfectly good and expensive canvas! We all have those moments as artists no matter what form of art we’re involved in. Nobody said it would be easy to be creative every day. When you hit that wall, consider these 10 ways to jumpstart your creative juices. When I first read these words, from Mary Oliver’s poem The Summer Day, I almost fell off my chair. It was a jolt, the same sort of zap you feel when you are reminded that this ain’t no dress rehearsal. A dear friend of mine asked me, “Do you realize that we only have about 30 more summers left?” A chill passed through my bones. Yes, this is it. This is the one wild, precious life we were given—so what do we plan to do with it, or with what’s left of it? “Magnolia Heaven,” by Rachael McCampbell, acrylic and oil on canvas, 80″ w x 30″ h was sold to St. Thomas Hospital in Nashville, Tennessee and hangs in their Boardroom. Thank you Betsy Ferg for connecting us and making this sale happen. I’m so happy to have original work there at this amazing hospital! 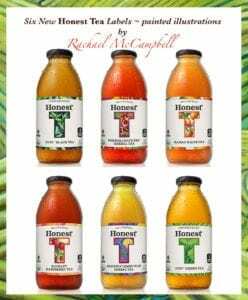 Fine artists sometimes get to do commercial work and in this case, I was extremely blessed to be hired by CocaCola to create 8 paintings used on the labels of Honest Tea. My rep in Los Angeles, Carrie Perlow from Das Grup, got me the job. I worked with a wonderful art director named Mandy Coelho from the CocaCola Company (they own Honest Tea). Here are 6 of the labels now on shelves. They are a great company with a lot of heart and soul and their teas are delicious!!! Thank you CocaCola!!!! 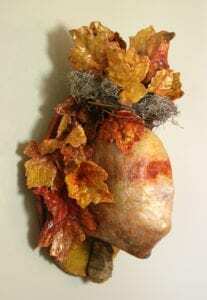 “Autumn Healing” by Rachael McCampbell, mixed media using Head Mask for Cancer Treatment. About 50 artists in Nashville and the surrounding area created masks made from the radiation masks used in treating patients with head, neck and throat cancers for the Courage Unmasked Show. When the editor of Nashville Arts Magazine asked me if I wanted to make a mask to be donated and auctioned off at a Vanderbilt Gala, I of course said “Yes!” I had just learned about my sister’s breast cancer and was thrilled to help any cause that might help the victims of cancer. The money raised went to the patients themselves who couldn’t cover the exorbitant bills that came with their treatments. There were beautiful masks at the opening reception held at OZ in Nashville on September 27, 2014. Mike Wolfe (from American Pickers TV show) did an amazing job auctioning off the masks. He gave a heartfelt talk that made me cry about dealing with his wife Jodi’s cancer. I used mixed media to create this mask. I don’t know who this mask belonged to, but I imagined that the person had throat cancer and that their healing took place in the fall. So I entitled it, “Autumn Healing.” I found a rock on a walk that I liked and wrapped it in copper wire and placed it over the throat area. There is a bird nested on the head which to me represents rebirth. I hope this patient healed under the capable hands of the Vanderbilt team.